Shopping for a fan of historic infrastructure this holiday season? 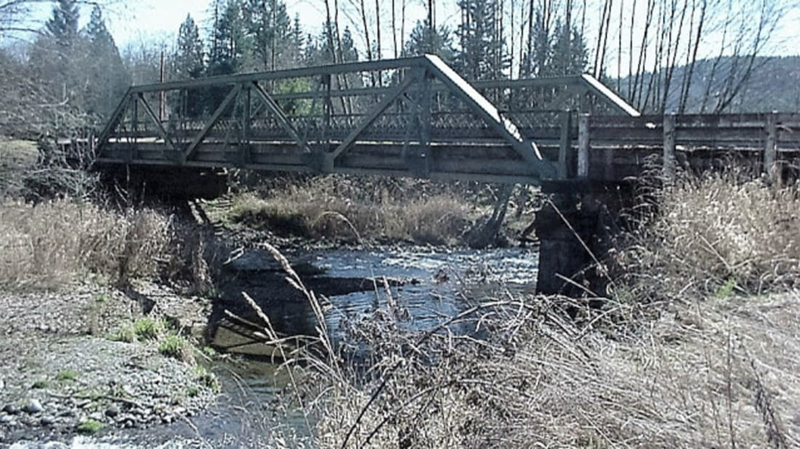 The Washington State Department of Transportation has an offer for you: The State Route 508 South Fork Newaukum River Bridge is in need of a new home, and the rusty trusses can be yours free of charge. All WSDOT asks is that you move it on your own dime, which could end up costing tens of thousands of dollars, KGW.com reports. The deal doesn’t include the entirety of the bridge—just the 90-foot steel trusses without the deck or substructure. Even so, WSDOT believes someone out there can get some good use out of them. “We’re hoping someone can repurpose it at [sic] a golf course, on a hiking trail, or even see its beauty as garden art,” they write on the WSDOT blog. Whether or not they find someone to take the historic hunk of infrastructure, a new bridge is planned to take its place in 2018. If you’re interested in saving the bridge from becoming scrap metal, you can contact WSDOT here.